Nigeria and Liverpool forward Asisat Oshoala has been named as the BBC Women's Footballer of the Year. She beat Spain's Veronica Boquete, German Nadine Kessler, Scot Kim Little and Brazilian Marta to the honour. 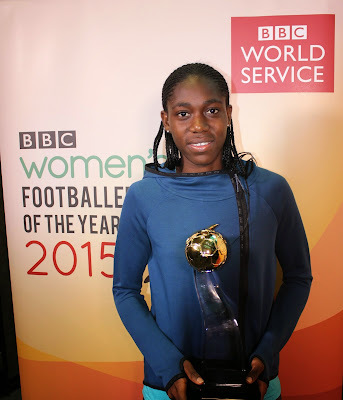 "I would like to say thank you to the BBC, to my fans around the world and to everyone who voted," she said. Oshoala, who was the youngest player to be shortlisted, was the leading scorer at the Under-20s World Cup in Canada last summer and was voted the tournament's best player. 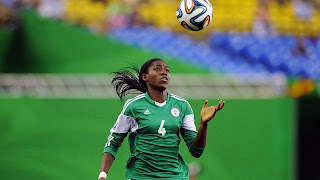 Her performances led Nigeria to the final, where they were narrowly beaten by Germany, and she was also a major influence in the senior Nigeria team who won the African Women's Championship in October. "It's a really good thing for us as a team because we now know that we have something great and now we want to go at the trophy," she said. "We can do it, we did it in 2014 we can also do it this year as well. 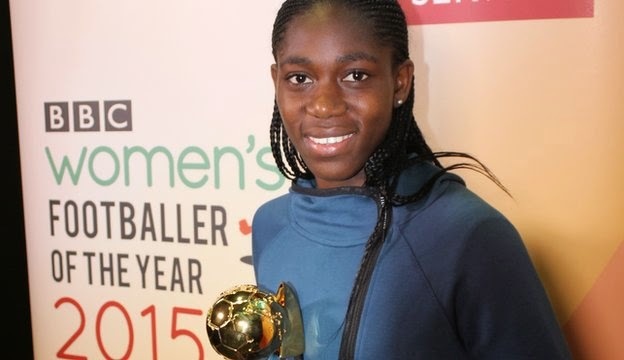 "There is going to be a lot of motivation for women's football in Nigeria now because of this award because there are a lot of fans out there. "Support for women's football in Nigeria is now growing very high. "I know my Liverpool Ladies coach is going to be happy right now. Before I left the UK he called me and said to me 'don't worry I hope you win the award and we're going to celebrate it when you come back'." 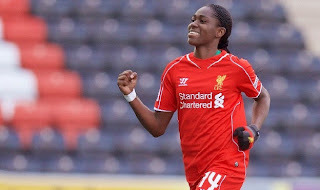 Oshoala signed for Liverpool Ladies in January 2015, becoming the first African to feature in the Women's Super League, with manager Matt Beard calling her "one of the world's top young footballers".